Pirro , former F1 driver, said " we had bread to deliver to customers, that's why we had to go fast "
Edited by M Needforspeed, Sep 07 2018 - 12:54 PM. Michel, that is terrifically funny!!! Edited by gliebzeit, Sep 07 2018 - 02:41 PM. Watching the absolutely gorgeous Iso Grifo .. then someone smashed it against an embankment. Next up ... the monster Can-Ams. Two friends of mine are marshalling this weekend (provided with white overalls, but that's another thread). On Friday a driver abandoned Monteverdi's swb 250 in front of of their post. One friend got to drive it back to the pits! Lucky lady. For those who missed todays action, the races get still repeated on the live channel! Those races expose todays F1 and WEC series a stupid commercial farce. Edited by Cookie, Sep 09 2018 - 04:09 PM. Yes, this year's Goodwood Revival meeting races were extremely exciting. There was some kind of racing for everyone! Personally, I loved the Cortinas, Minis, Galaxies and that Mercury Comet. Also, that last race of the weekend where Phil Keen drove from the back (pit lane) to thunder to the win in that Lister Jaguar - incredible. Edited by Stefan Roess, Sep 10 2018 - 10:10 AM. 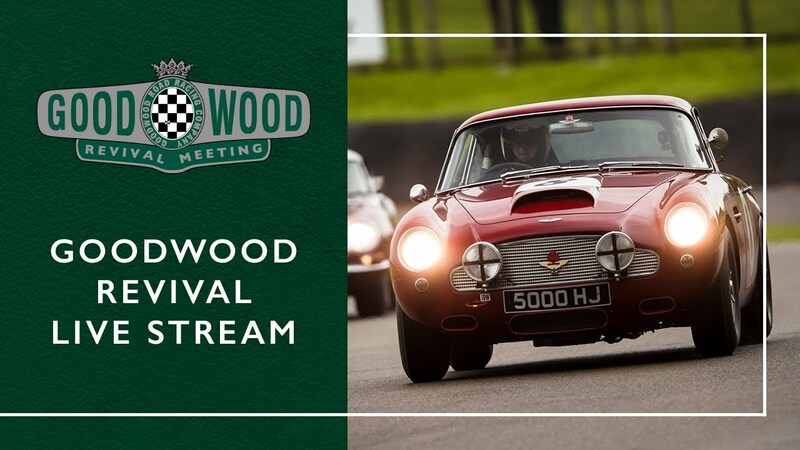 As I only live 1 hour from Goodwood I go every year. Corser wringing the neck of the 1929 motorbike and winning the race. An Alfa winning the St Marys trophy race on Sunday. The tail of the Jason Plato-driven Corvette wagging furiously on the exit to Madgwick. The Ferrari 1512 finally winning the Glover Trophy.